August 23rd, 2016 | Home and Lifestyle, Moving Tips. You’ve spent years cultivating your fish pond. You chose the perfect koi to fill it and you’ve carefully tended them through the cold and the heat. So what do you do with your fish when it’s time for a move? You can’t imagine leaving them behind, but how do you safely transport them along with your other belongings? Fortunately, you can move your koi from one home to another without affecting their health too much. All it takes is some knowledge of the potential risks and the proper moving techniques. Since koi are expensive as well as sentimental, you want to protect your investment the best you can. Be aware of these common risks to your fish before you make the move. Koi feel stressed when their environments change and when they feel threatened. Although you can’t do much about the change in environment, you should work throughout the move to prevent your koi from feeling threatened. Since stress lowers your koi’s immune response, they might have a harder time fighting off illnesses and infections if they feel too pressured. Other health problems can also arise from stress, and you might not see them until days or weeks after the move. For this reason, you should minimize stress as much as possible. If you treat your koi roughly during the move or expose them to harsh environments, they could get hurt. For example, if you quickly lift your koi out of their pond with a net or shake them around too much, they could lose some of the protective slime that coats their scales. 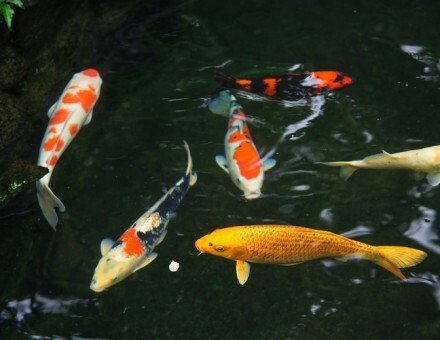 Koi’s slimy covering protects them from parasites, infections, and other maladies. You want to protect this coating during their transition. Of course death is the most serious risk of transporting your koi. If they don’t have access to enough oxygen, their water becomes too dirty, or they get sick, your koi could die during the move. 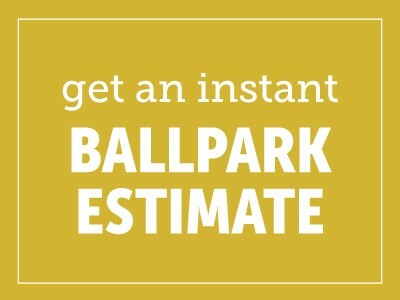 Fortunately, you can avoid this fate with a proper moving process. With some careful techniques, you can successfully move your koi to their new home. Invest in a quality koi net and use it to carefully coax your fish into your chosen container. Don’t chase your koi around the pond with the net. Instead, place it behind them or slightly under them to help guide them into their transportation bag or bin. You can move koi in plastic bags as long as you also have a rigid container to put the bags in. If you choose plastic bags, you will also want some rubber bands to close the tops with, and enough bags to double bag each fish. You can also skip the bag and put your fish directly into a rigid container, such as a plastic bin. The water in your koi’s transportation container should be as close to their normal pond water as possible. To make this easier, you can just use water from the pond. If you want to use different water, make sure its pH and temperature are the same as the pond. You want the water to match within 0.3 on the pH scale and 4Â°F of its temperature. Finally, your fish will experience less “handling shock” if you add salt to their water. The kind of salt does not matter. Use 3 grams per liter of water for best results. You can also add things like a water conditioner or slime coat product to help your fish maintain their coatings. Whether you’re moving down the street or to another state, you don’t have to leave your fish behind. Use these tips to safely move your koi into their new pond.